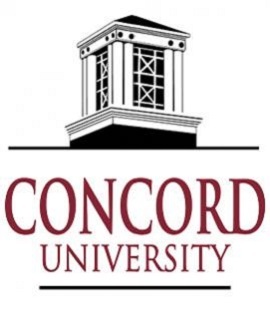 CONCORD UNIVERSITY – The Department of Psychology is seeking applications for a full-time, tenure-track faculty member. Appointment to begin Fall 2019. Applicant must have completed a PhD in Clinical Psychology by the start of the appointment. All additional specialty areas will be considered but particular preference will be given to brain and/or behavioral science. The applicant will be one of four full-time faculty serving approximately 114 undergraduate psychology majors. Teaching responsibilities include a course load of four courses per semester. The applicant will also supervise student research projects and is expected to become involved in faculty committees and university activities. We encourage efforts to conduct his/her own research with student involvement. Concord is a small liberal arts university serving rural, southern West Virginia and located near state and national park lands. Despite its size, Concord University has consistently for the past 10 years been ranked in the “top tier” category of the U.S. News & World Report’s America’s Best Colleges, Best Regional Colleges South. Review of all applications will begin immediately and continue until position is filled. Full-time, tenure track assistant professor of psychology to teach undergraduate courses in psychology. Teaching responsibilities include a course load of four courses per semester. Active mentoring of undergraduate student projects is also expected. Additional responsibilities include student advisement and involvement in university committees. A PhD or PsyD in clinical or experimental psychology is required by the start of the appointment. Required skills are research and teaching required. Clinical experience preferred. Experience needed: Over 1 Year, up to 2 years. Applicants should upload a cover letter, CV, and roster of three to five professional references with names, addresses, telephone and email contact information. Areas of expertise can be flexible but should be broad. Particular consideration will be given to applicants specializing in biological basis of behavior.